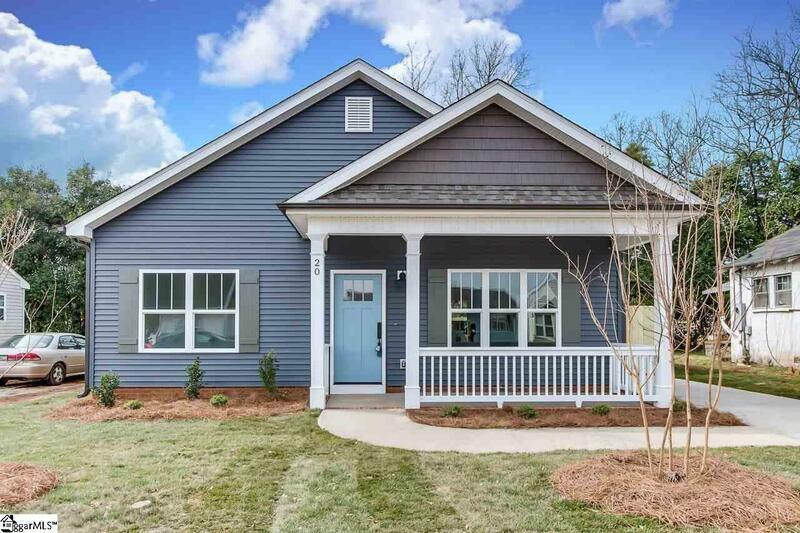 New construction by one of Greenville&apos;s best builders. You will love the kitchen! Gorgeous granite counters, designer backsplash, solid maple cabinets and stainless steel appliances. Open floor plan with handsome hardwood flooring in living areas. Masterful Master Suite with stylish stand up shower, granite counter and walk in closet. Relax at the end of the day with a cool beverage on your choice of a covered front or back patio. Enjoy the convenience of Greenville&apos;s downtown, with nearby shopping, restaurants, churches and Cleveland Park. Take in events at the Well or a Drive baseball game. Welcome home!